New-look website offers many new features and looks to bring further connectivity to the pump industry. From August, the international magazine for pump users, World Pumps, a global market leading tile in B2B industry media, will be re-launching its website. For the first time, the international pump industry will have a one-stop-shop for a wide range of solutions for information, articles, features, news, webinars and more. 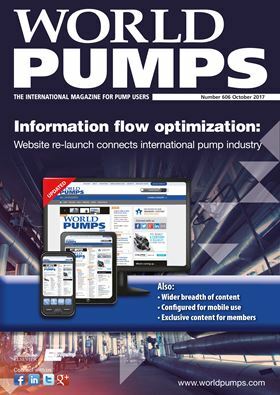 The digital edition of World Pumps magazine is available free or charge to readers who meet our circulation criteria. Sign up to receive your copy by completing the registration form.